Hundreds of Wake Forest alumni across the country will work to address issues of hunger and food insecurity in 30 cities from Boston to Los Angeles on Pro Humanitate Day April 9. In Winston-Salem, Wake Forest alumni, staff and parents will fight childhood hunger in the local community by working at the Second Harvest Food Bank of Northwest North Carolina. Volunteers will sort donated food items from 8:30 a.m. to 11 a.m. Afterward, the local volunteers will gather on campus to hear from Lauren Bush Lauren, social entrepreneur and founder of FEED Projects. The talk, made possible by the support of the WellsFargo Foundation, will be livestreamed here. Volunteer to show the world #GoodWearsBlack. 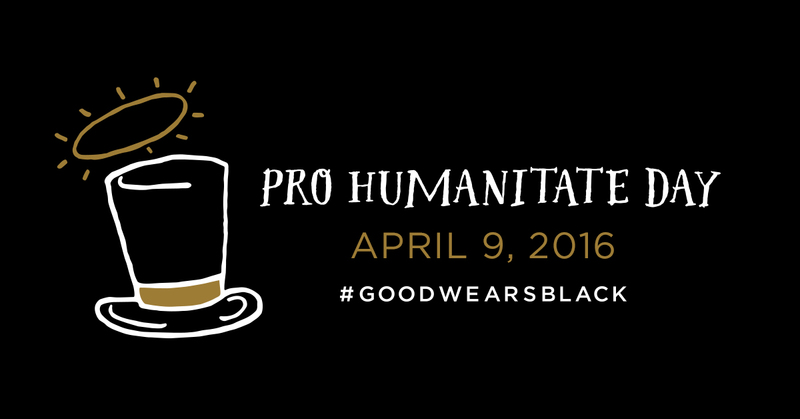 Those who would like to volunteer can register here or support Pro Humanitate Day by donating food to the local food pantry or sharing on social media using the hashtag #GoodWearsBlack. “Wake Foresters in their communities across the nation can raise food and awareness to make a difference in the lives of hungry children and their families,” said Anthony Tang, alumni coordinator for Pro Humanitate Engagement. Take a look at the slideshow highlighting how Deacons around the country made an impact on Pro Humanitate Day 2015.